Gasparian Spivey Immigration is a boutique immigration law firm in New Orleans. Our focus is on providing effective solutions to your immigration needs. Whether you need us to represent you in uniting your family, assisting your company, or securing your future in the United States, you’ll find we take a creative and personal approach to immigration law. Immigration law and procedures can be overwhelming in complexity. New judicial decisions, regulations, and procedures seem to happen almost daily. A case that was hopeless yesterday may now have a solution. At Gasparian Spivey Immigration, our experience and advocacy provide a pathway for individuals and organizations through the changing landscape of immigration. We limit our practice to immigration law, and assist clients all over the United States and the world. 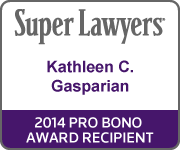 Clients can depend on Gasparian Spivey Immigration. We strongly believe in communication with our clients. That means being accessible, prompt in returning calls and emails, making sure you understand what is happening in your case, and understanding who you are and your overall immigration goals. We strive to achieve success and remain sensitive to your concerns. The immigration process can be frustrating and lengthy; working with your attorney should be easy.